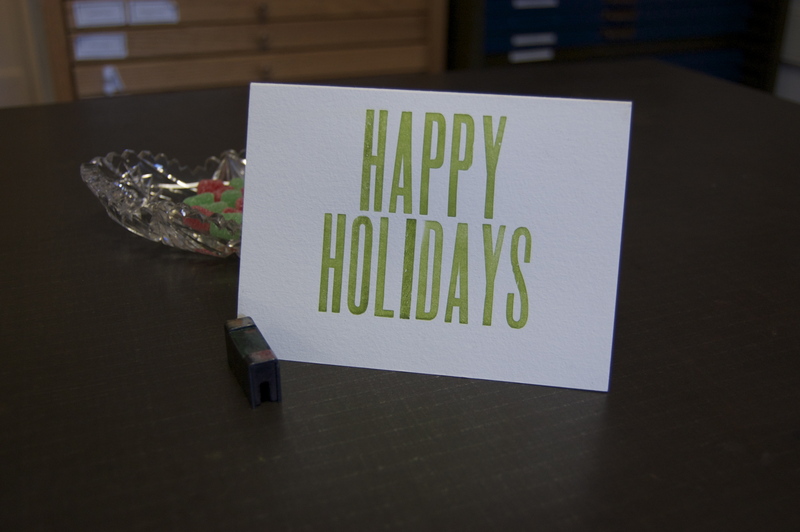 Join us this afternoon as we print holiday cards! 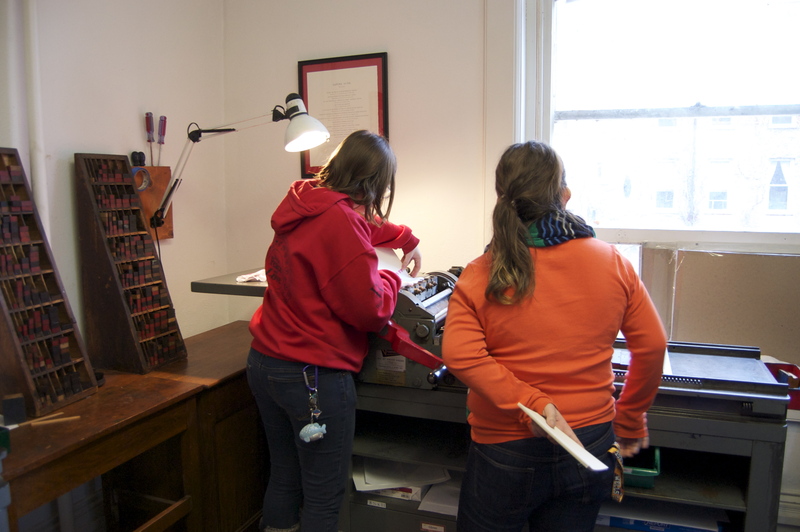 As you can see, these students are having a wonderful time printing lovely holiday cards. 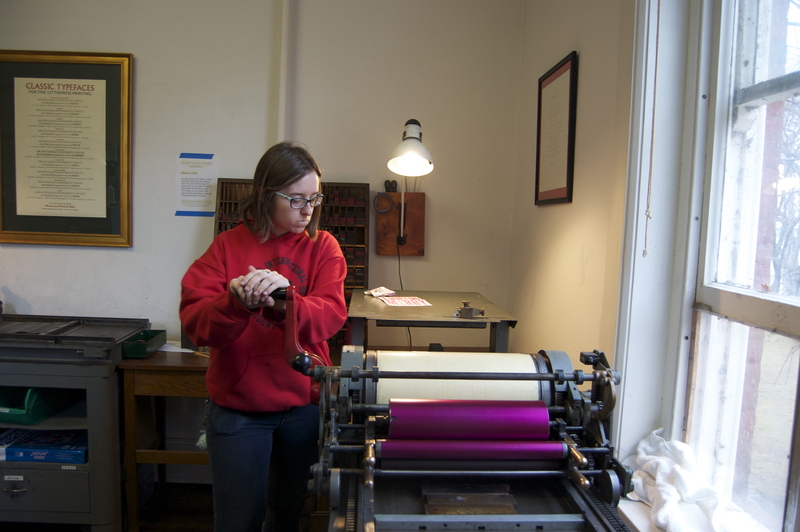 We have 6 printing presses for you to print 6 cards of your choice for $10. And hot tea, coffee, and cookies too! Hope to see you here in Morgan Hall! This entry was posted in Uncategorized and tagged book arts, cards, Fun, Holiday, letterpress, printing, Wells College by wellsbookartscenter. Bookmark the permalink. It was such fun! The students had a blast and made beautiful cards. A pair of resident advisors even designed a card for troops overseas as a floor activity! Hope to visit you all some day myself.